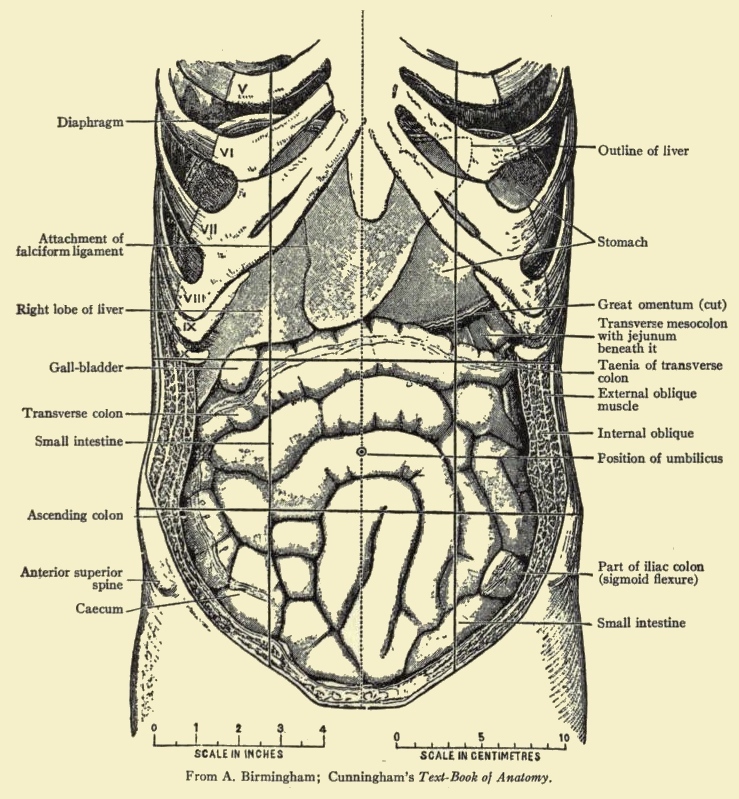 Vintage abdomen drawing from an 1911 encyclopedia. The text explains that this drawing is based on a photograph from a 56-year-old male body. Based upon the included scales, it would appear he was fairly fit and narrow-waisted. The ribs on the right side are indicated by Roman numerals; it will be observed that the eighth costal cartilage articulated with the sternum on both sides. The subcostal, intertubercular, and right and left Poupart lines are drawn in black, and the mesial plane is indicated by a dotted line. The intercostal muscles and part of the diaphragm have been removed, to show the liver and stomach extending up beneath the ribs. The stomach is moderately distended, and the intestines are particularly regular in their arrangement.